AD1 Global is a leading hospitality group with 15 properties under management and six more in development in the Southeast U.S. AD1 Global growth has been fueled by its strategy of acquiring and renovating existing hotels, with an eye towards becoming the best and most profitable hotel company. AD1 Global has been expanding and acquiring new properties, and together with ONPEAK Energy has designed a strategy to be more sustainable and help with the reduction in emissions by implementing some changes to the assets they manage. 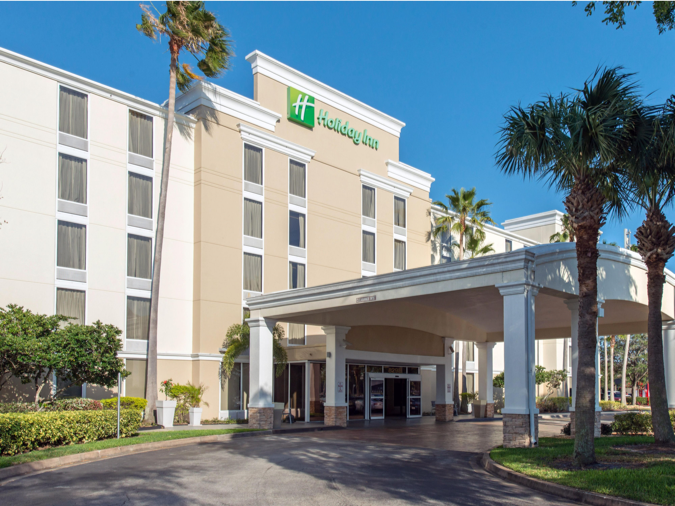 In the case of the Holiday Inn Melbourne Viera, they needed to do a complete property retrofit, but its cost and payback were outside budgets. ONPEAK Energy is a Florida-based Efficiency Consultancy Company that works with building owners to evaluate, install, and help finance investments in energy-saving equipment. For the Holiday Inn, after understanding the condition of the property and the needs, ONPEAK proposed to combine the replacement of two large RTU units and PTACs with efficient LED lights and energy saving room controls. ONPEAK was able to create a customized turnkey solution that had no negative cash flow impact and allowed the Hotel to get this project done without impacting their budget; all the investment is paid back by savings generated with new and more efficient components. AD1 Global looked to ONPEAK, to evaluate, replace and finance outdated equipment. Initial main concern was the replacement of an old Addison 50 TON fresh air unit installed in the roof of the main tower. Another critical issue was to replace very old and dated PTAC units in the guestrooms and the main Air Conditioned unit supplying air to the conference center; one of the essential business units for the Hotel. Because the payback on the HVAC equipment was very long, ONPEAK did a study on the impact of adding not only a more efficient HVAC equipment but also combine it with smart room thermostats and LED lighting to accelerate the payback on the complete solution. With the implemented solution, the Holiday Inn has been able to provide a safe and comfortable environment for their guest while creating savings of over $40,000 per year in utility and maintenance expenses. The replacement of the dated PTAC units will reduce their maintenance expenses including labor and staff continually assisting faulty units. The new LED lighting will not only help them save on energy-related savings but also will contribute to maintenance expenses. And the installed room thermostat solution will allow them to keep $19,000 per year in energy savings adding up better quality standards and comfort to the hotel guests and the overall quality of the rooms.